As you can see we have a new tutorial online. We are going to show you how to make an easy Winchesterknot for your nektie. (Well I show, Kamyu was not able to do one. Waah!! Don't hit me Kamyu!) 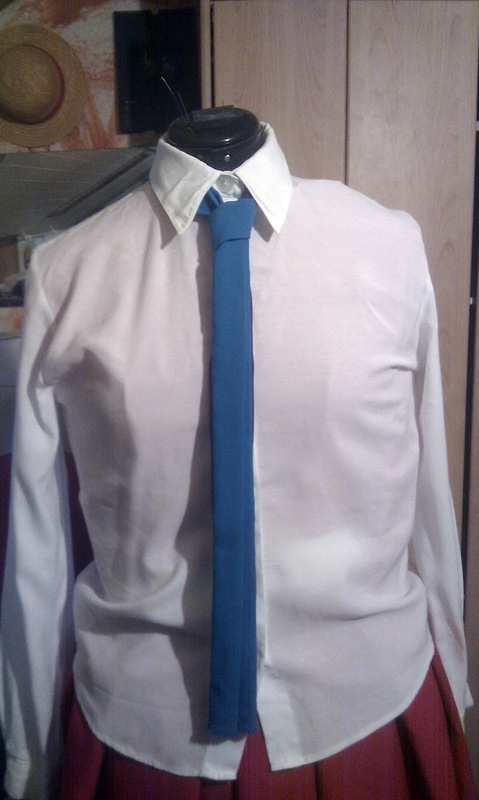 It is used for thin nekties and thus not god for very formal events as an dubble windsor knot. 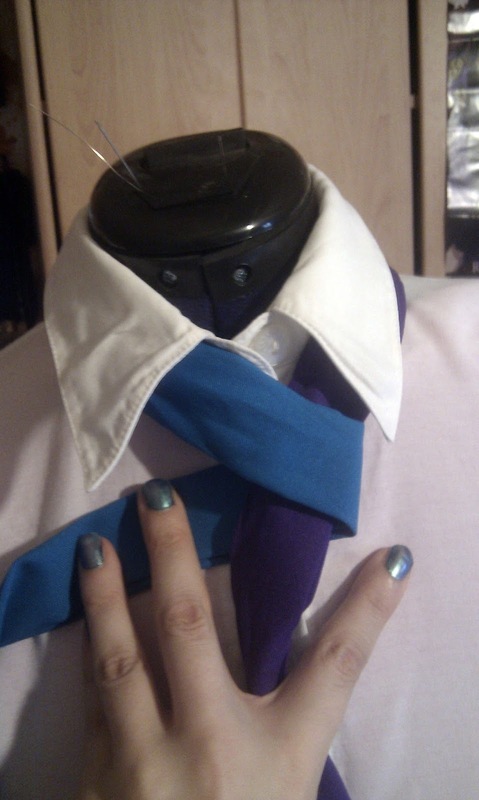 I have mede this tutorial with a two colored band of fabric because it will be easier to show. But you will see it is really easy. 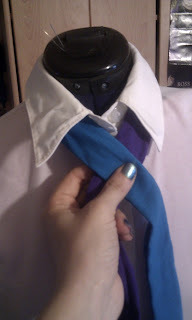 At first put your tie arround the neck and the side that should be long later (blue) has be much longer than he short part (purple). The perfect length for this part is ordinarily is something you have to test but be aware that the tie will shorten because of the knot. The arrow points circa on the height of the final bound tie. 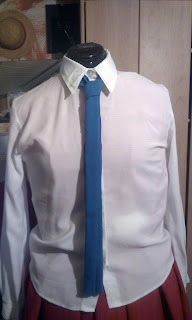 The first step is really easy just cross your tie ends but the long end (blue) should be in front. The second step is almost as easy s the first one. Wrap the long part behind. Third step is as easy as the first one. Cross the short (purple) part again. The short part will not move till the end. The fourth part is a little bit tricky. Your current state is at Part a. 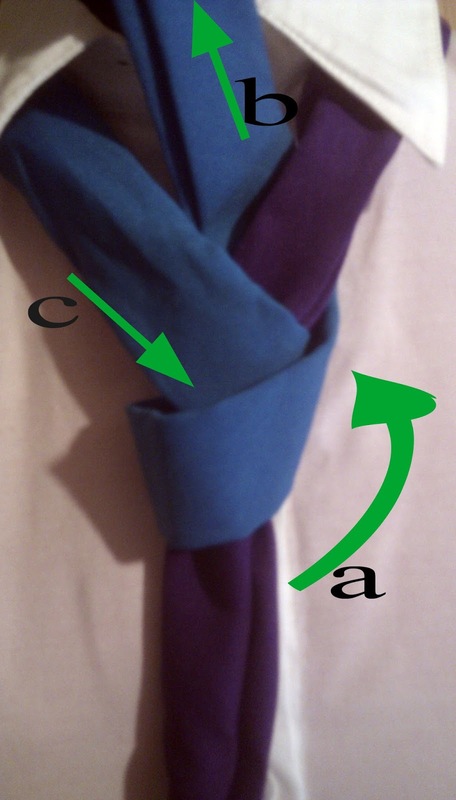 Now you have to pull your long part (blue) between the parts (part b) where the knot beginns. 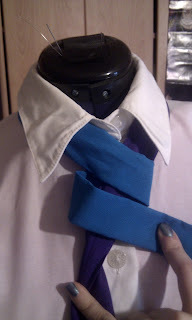 Now you have to pull your end of the nektie through the wrapped blue part (c) that already has its final trapezoid look. Hey we are almost done. 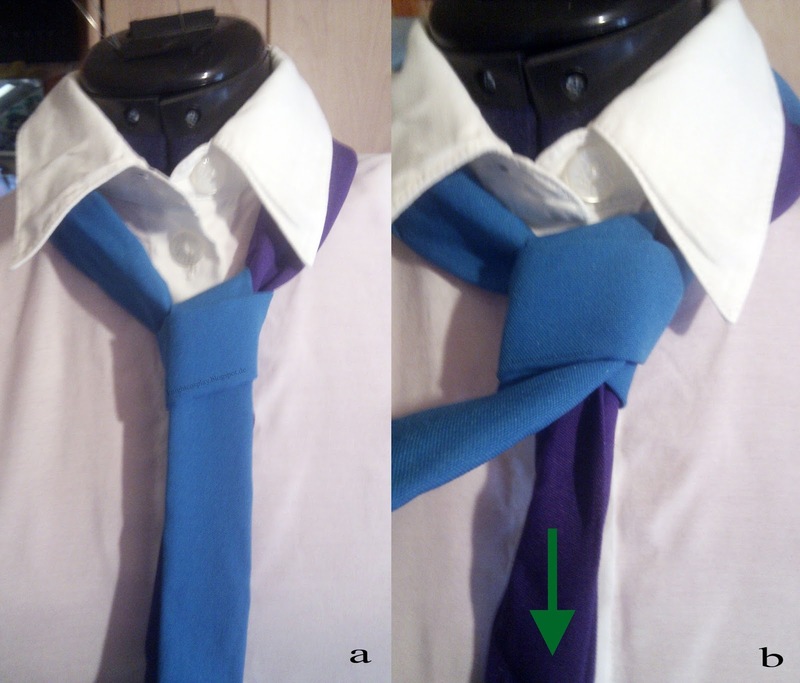 If the tie is not at its right positon yet the only thing to do left is to pull at your short end (purple) to make its look perfect. Congratulations. If you have come to this point you have knot your nektie. It is easy for sure but as you see it has for real shortend that much. Have fun if you try it.